ALL PRICES EXCLUDE FEES. SUBSCRIBE FOR NOTIFICATIONS. There is no difference in tiers except for price; each tier is only available while supplies last. A General Admission 3-day Pass to Something In The Water grants you GA access to all days of the festival taking place beginning Friday, April 26th thru Sunday, April 28th, 2019. Entry includes access to the main lineup, food and drink vendors, and all GA areas of the festival. 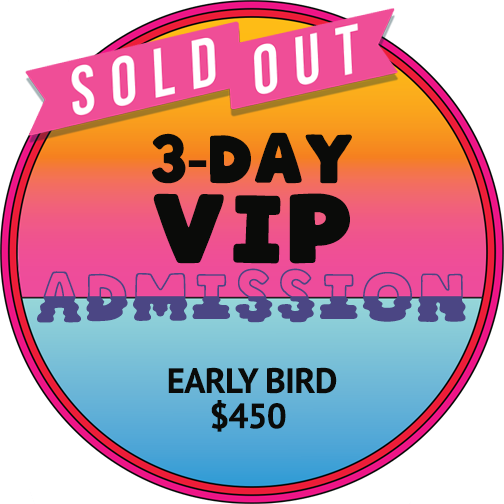 A 3-day VIP Pass to Something in the Water grants you VIP access to the festival taking place beginning Friday, April 26th thru Sunday, April 28th, 2019. VIP entry lines, dedicated viewing areas, VIP restrooms, dedicated merch stands and free water stations, food & beverage vendors and charging stations. The VIP section is all ages. All passes are RFID Wristbands and must be scanned at venue for entry. Wristbands will be sent out two (2) weeks before the event. There is no guarantee that there will be passes available at the venue on the day of the show. Do not buy passes from a third party or scalper. Third-party sales can’t be guaranteed, authenticated or supported. A government issued photo ID, order number and the credit card used for purchase are required for will-call pickup or troubleshooting by the original purchaser.